My Dad is a fig FANATIC. And this is probably an understatement. His yard of more than 50 trees encompasses 21 varieties of fig trees, each one with a distinct flavor, sweetness, and personality. Each year I am lucky enough to be able to gorge my belly full of these delectable treats, but a human can only eat so many! So we have started canning the rest into tantalizing Drunken Fig Preserves. We sell them at the local Farmer's Market, and also gift them to friends. In this process, from planting to harvesting to preserving, the entire family gets involved. Everyone helps out with the digging and tilling of the soil, picking of the hundreds of figs before the vermin get to them, and canning of the preserves. If you enjoy this instructables, please vote for me in the Maker's Mom Contest by clicking "vote" above! A few varieties of figs below with descriptions. My dad gets all his fig seeds from the USDA seed bank. Apparently, you shouldn't always trust whatever you buy from your local nursery. www.figs4fun.com is a good resource for fig fanatics. This recipe is pretty simple. The most important thing is having nice, quality figs. This makes about 10 cups of preserves. You can size up or down the proportions if necessary. First half; then half that half. Repeat with each fig. Mix all the ingredients (save the brandy) in a large pot. Let it sit for 1 hour, then slowly heat the pot to a boil. Boil for 10-15 minutes, stirring ever so slowly- if you stir too hard, it will break up the fig quarters into mush! While it is cooling, add the brandy (if you add it while it is boiling, the "drunken" part of the preserves will not be so drunk). Now you can enjoy this delectable treat immediately or can them for later. Sterilize the jars and lids. There are a couple of ways people usually do this- either microwave, boil, or steam the jars. We steam them for 10 minutes or so until ready to use. 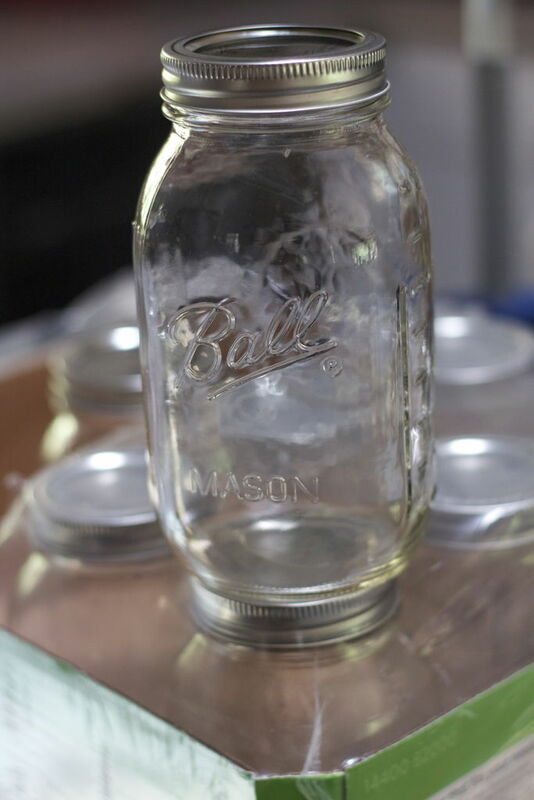 Ladle your preserves into the mason jars, and tightly secure the lids. You may experience sudden selfish urges as you enjoy your drunken fig preserves on toast, waffles, pancakes, ice-cream or just by itself! But it is always nice to share. I hope you enjoyed this instructable, and if so, please vote for me in the Mom's Maker Contest by clicking "vote" above! hi, this sounds delicious. I have one brown turkey bush and cant always eat them all before they go off, so would like to try this recipe. In the UK we dont use cups however, so it would be helpful to know how much a cup of figs weighs. I have tried using cups, but they are not very accurate, each set measures a different weight. I cannot imagine that many figs would fit in a cup either, are these quartered before measuring? Thank you in anticipation of a reply. love figs. would love to try this receipe. just can't find them in stores. I think I'll have to grow them first. Like figs. Like brandy. Like your i'ble. Thanks.